NEW ORLEANS (AP) — BP and five Gulf states announced an $18.7 billion settlement Thursday that resolves years of legal fighting over the environmental and economic damage done by the energy giant’s oil spill in 2010. The settlement money will be used to resolve the Clean Water Act penalties; resolve natural resources damage claims; settle economic claims; and resolve economic damage claims of local governments, according to an outline filed in federal court. The settlement involves Florida, Alabama, Mississippi, Louisiana and Texas. “If approved by the court, this settlement would be the largest settlement with a single entity in American history; it would help repair the damage done to the Gulf economy, fisheries, wetlands and wildlife; and it would bring lasting benefits to the Gulf region for generations to come,” U.S. Attorney General Loretta Lynch said in a statement. The settlement announcement comes as a federal judge was preparing to rule on how much BP owed in federal Clean Water Act penalties. 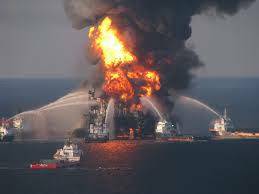 The judge had already found that 3.19 million barrels of oil — nearly 134 million gallons — spewed into the Gulf. Individual states also were pursuing litigation.